Cally Papas began her career in the travel industry working for Olympic Airways as a receptionist. She moved up quickly through the ranks passing through the major departments of the airline and ended her career there as the Head of the Commercial Policy and Group / Incentive USA. Cally left Olympic Air to become a partner at Cloud Tours and eventually bought the entire company. In its early beginnings, Cloud Tours built its excellent reputation on the agency’s expertise in Greece and Turkey. Over the years, they have expanded to Italy, Croatia, Spain, Portugal, Israel, and Jordan specializing in customized F.I.Ts and group travel as well as romantic honeymoon packages. TRO: What is your most fond travel memory you can recall? Cally: Santorini, Greece. It is a unique destination and has a powerful effect on me. I go every year but it never gets old. Sitting on the balcony and watching the stunning sun set melts away all the stresses of the outside world. It always feels fresh and new. Santorini is a paradox. It looks like a small traditional Greek village and yet, is one of the most sophisticated destinations of the world. It has remained true to itself and its traditions. TRO: Tell us a little bit about your role at Cloud Tours? CP: I am the President and owner of Cloud Tours and very involved with the operation and sales of the company. I am a very hands-on President! TRO: How has your time at Cloud Tours shaped your understanding of the travel industry? CP: The travel industry is forever changing and yet, the basics stay the same. If the travel experience excels, the traveler returns to the travel agent and the travel agent returns to the tour operator. It still boils down to quality of service, knowledge of destination, and an affordable product. 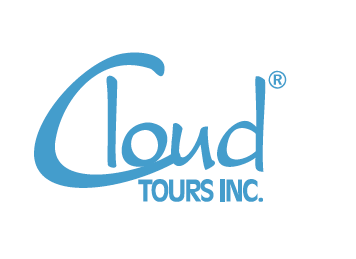 TRO: Cloud Tours is no newcomer as a tour operator. What do you think has contributed to over 40 years of success? CP: The independent tours we create allow our clients to experience our countries and not just see them. We want to provide our clients with a seamless and genuine travel experience to our specialized destinations. We pride ourselves in accomplishing this at affordable rates. Also the travel consultants at Cloud Tours have been to our destinations and know them well. They are not just order takers but rather can assist in creating a vacation. TRO: How is Cloud Tours relationship with travel agents? CP: Excellent. We consider the travel agent our partners in travel. Travel agents have a tough job. They have to be experts in selling the world and they have to know who the reliable tour operators are to trust with their clients. I believe strongly in the travel agent tour operator relationship and as such, we do not advertise directly to the public. TRO: Cloud Tours has vacation options all over the world. Is there a destination that does substantially better than the others? CP: For Cloud Tours, our best destinations are Greece, Italy, and Turkey. TRO: In addition to your variety of destinations, Cloud Tours offers all types of vacation packages for every type of traveler – which tour would you recommend? CP: This is a difficult question to answer. With so many fascinating countries, it would depend on the travelers interests and expectations, not mine. TRO: Is there anything new or exciting happening at Cloud Tours in 2014? CP: Yes, we began selling beautiful Croatia in 2013 and will be expanding our offerings to this stunning country that has so much to offer. It really is the undiscovered Mediterranean. TRO: What is the best way for an agent to get in contact with Cloud Tours? As a recent user of Cloud Tours and a frequent traveler…the experience was FANTASTIC! Great service…great arrangements…and seamless travel…. The best travel service I’ve ever used.